A new draft of the potential global agreement on climate change, to be negotiated this December in Paris, has been published by the United Nations. The text is a crucial step forward for the talks, as previous versions of the draft were judged to be too long and unwieldy for negotiators to grapple with in time for the December deadline. 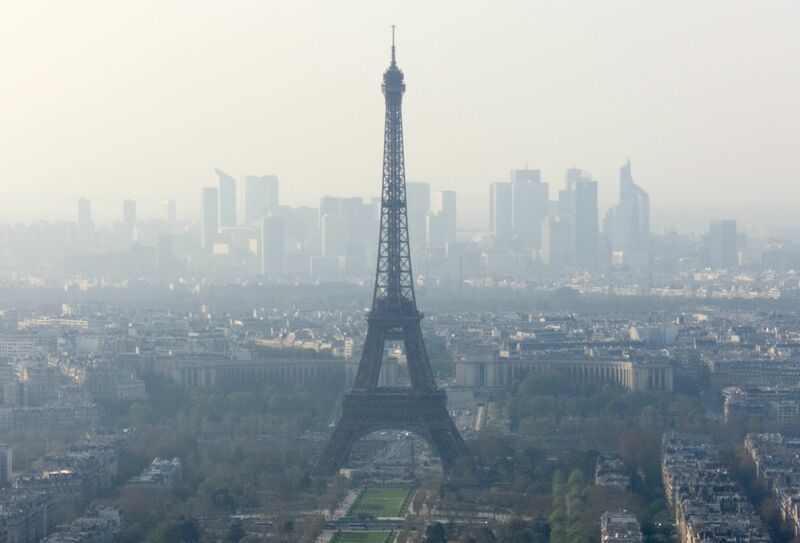 Governments are meeting in Paris from 29 November to 11 December to forge a new global agreement on the climate, including cuts to greenhouse gas emissions, that will take effect from 2020, when current commitments run out. From more than 90 pages earlier this year, the new core text has been slimmed down to just 20 pages, with a supplementary document of three pages on ways to up countries’ emissions-cutting targets before 2020. The new text includes a commitment by governments to hold warming to no more than 2C, or potentially 1.5C, above pre-industrial levels. This is viewed as crucial, because of scientific advice that warming above 2C is likely to lead to consequences – extreme weather, droughts, floods and sea level rises – that will become catastrophic and irreversible. The precise wording of what this means in terms of levels of greenhouse gas emissions has been left open, however, with square brackets denoting phrases still to be negotiated. This wording will be important, as the options of committing to a peak year for emissions, or a percentage reduction in emissions, would be clearer definitions of future actions than the vaguer commitments to a “global low-carbon/low-emission transformation”. The revised text also provides for an ongoing process of review of nationally set climate targets in the years following any Paris agreement – seen as crucial to a successful deal – with countries required to communicate their emissions goals every five years. Emissions targets will be subject to the capacities of each country to meet them, with “common but differentiated responsibilities” for poorer and richer nations. One article of the draft agreement would require countries to make plans for adapting to climate change, and states that, “Developing country parties are eligible for support in the implementation of this article.” However, whether this means fixed levels of financial assistance from rich nations is not specified. Climate finance – assistance provided from rich to poor countries to enable them to cut emissions and cope with the effects of global warming – is a key issue at the talks, with developing countries demanding such support as a condition to their agreement. No figure is put on how much this assistance should amount to, though it must be more than the $100bn a year already promised by 2020, and the text provides for money coming both from governments and the private sector. The vexed question of “loss and damage”, which some poor countries and NGOs interpret as compensation from the rich to the poor for the ravages of climate change, while most rich countries view it as a recognition that they will provide support in the event of climate-related disasters, makes it into the text in a single sentence. “Parties acknowledge the importance of addressing loss and damage associated with climate change impacts and recognize the need for international cooperation and solidarity[, including through the institutional arrangements as defined in [this Agreement][decision 1/CP.21]].” This could be enough to ensure that the rows over loss and damage which marred previous conferences do not prevent an agreement being signed. The new text is seen as a step forward because talks in Bonn in September proceeded slowly, leaving only five official negotiating days to go before the Paris conference begins. Key officials were asked to prepare a slimmed down version of the text in order to hurry along the process and “have a better basis from which to negotiate”. Their work will now be scrutinised ahead of the final pre-Paris session, taking place from 19 October in Bonn. The UN said the talks had been “strengthened” by the publication of the new text, and that the work provided a “concise basis” for the next Bonn talks. Organisers of the Paris Climate Conference have learned from the lessons of the 2009 Copenhagen conference, where the presence of so many major political personalities dragged the conference down into chaos. To prevent political matters from hijacking the event, France has decided to invite heads of state to the opening of the conference on 29 November, but not to the negotiations themselves. The conference will close on 11 December.